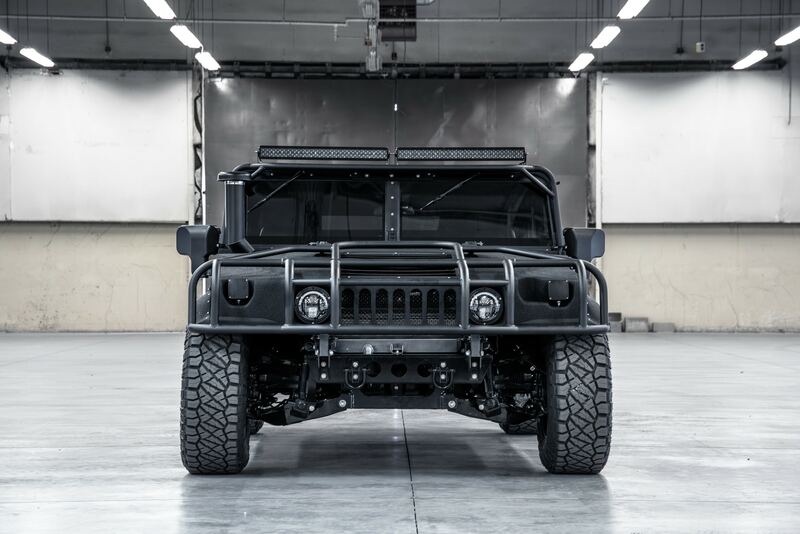 Customizer Mil-Spec Auto has created an adjustable air-ride system for the Hummer H1 off-roader. 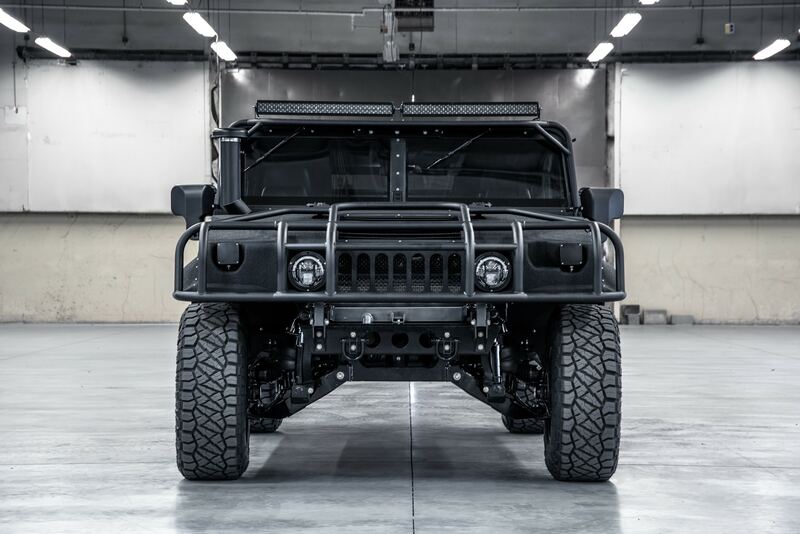 A month ago, custom shop Mil-Spec Automotive revealed its "Launch Edition" truck, an attempt to turn the spartan Hummer H1 into a luxury 4x4 by dumping obscene amounts of money into it. With its $200,000 base price tag, just about everything aside from the H1's original frame saw an upgrade. 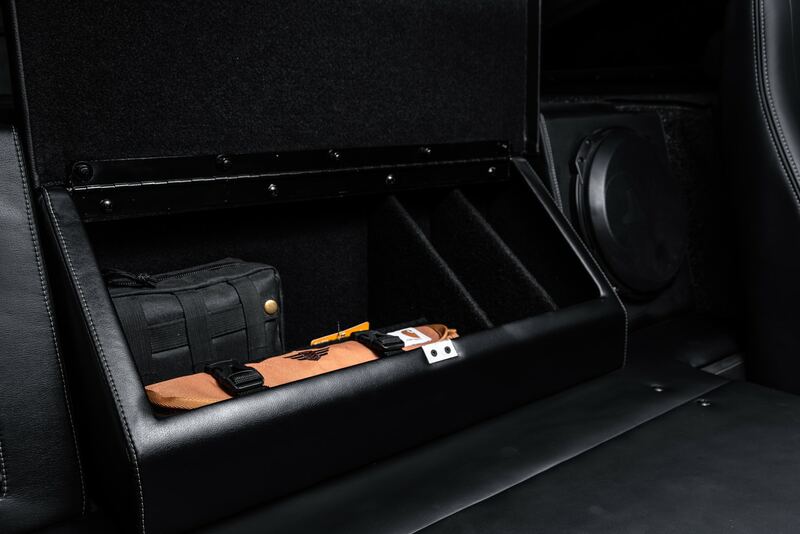 Mil-Spec put a ton of focus into adding sound-deadening and making the Hummer much more livable than General Motors ever did. Now, the shop has come out with another build that ups the comfort ante by including air-ride technology. The 002 build, Mil-Spec's first customer-commissioned truck, differs from the basic Launch Edition in a few key points. It's built in the slant-back body style, while the launch vehicle was a shortbed pickup. This particular build has also been optioned out with a distressed hide leather interior. The big selling point of 002, however, is the fact that it's equipped with two airbag systems. One in the suspension, and one in the seats. In conjunction with each other, these systems smooth out the Humvee's rough factory ride. 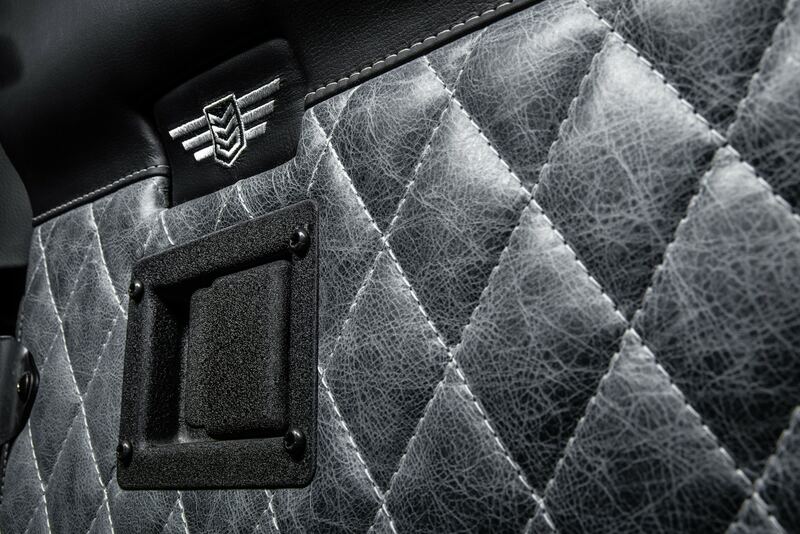 In correspondence with The Drive, a Mil-Spec representative said, "The fully adjustable air-ride system and with air-ride seats make the driving experience of this Launch Edition truly sublime. We have integrated a one-off air ride system with proprietary suspension developments that allows for 7 inches of adjustable travel. This is coupled with aforementioned air-ride seats that feature a host of functions such as: selectable massage, heated/cooled, and fully adjustable seat comfort supports. The combination of both air ride systems allow for maximum on and off road comfort for the driver and passengers." Those 7 inches of adjustable ride-height are demonstrated in these two photos, although we're not sure why you'd ever want to put it on the lowest setting. The customer's price for 002 was $290,000 out the door, a healthy premium over the Launch Edition's $218,499 cost. This truck retains the Launch Edition's kevlar-coated body panels and custom Duramax turbo diesel engine putting out 500 horsepower. 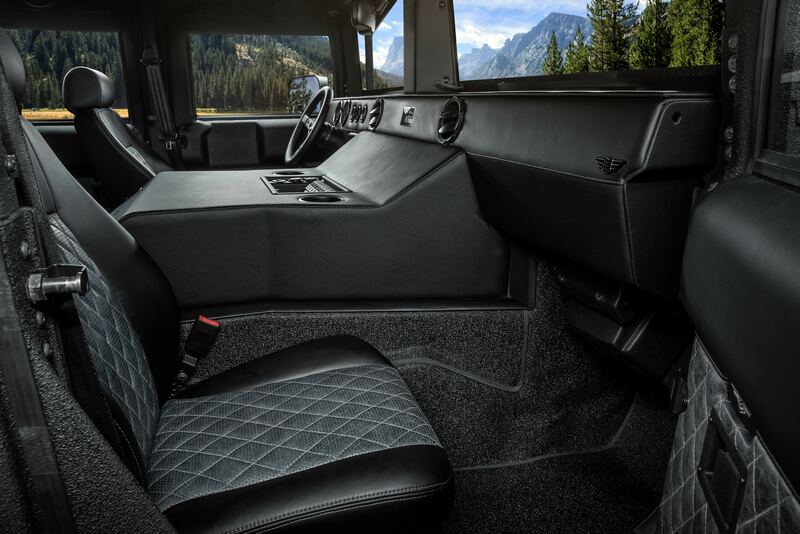 If you were ever jealous of the school bus driver's comfy-looking air suspension seat as a kid, you may have the option of shelling out an extra $70,000 to have one installed in your custom truck. Mil-Spec told The Drive that it's not yet sure if it will offer the air-ride feature on future builds, but it will make a decision either way by next year. From military necessity to off road warrior, see the Jeep evolve through the years.